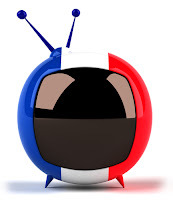 Last December, we wrote about Molotov, a disruptive French live TV platform geared towards improving the viewing experience and making it easier to locate and discover content. Jean-Louis Gassée, a columnist at Recode and the former head of Apple engineering, tried out a beta version of Molotov for three months and raved about it in an editorial on Monday. Back in April, TechCrunch’s Romain Dillet had a similar reaction after spending the same amount of time trialing the service. It’s clear that the platform has been receiving a lot of hype. Will it live up to consumer expectations, and will larger players in the industry attempt to mimic the concept? It seems like we’ll find out in July.